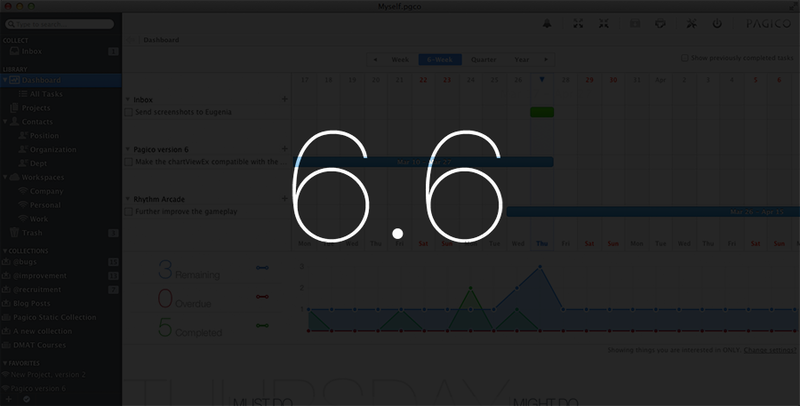 Pagico for Desktop v6.6 is coming! Just a quick word that we’ve been very busy with the upcoming Pagico for Desktop v6.6. It packs quite a few feature improvements and many stability improvements. It will be an exciting update that’s designed to make it a little easier to stay on track, and make your work a little more enjoyable. Being internally tested right now, the version 6.6 will be available within the next 2 weeks.